The pack of mutant black squirrels that are giving Britain's grey population a taste of their own medicine | the Daily Mail: "For years, the grey squirrel held sway - driving its red cousin into the remotest corners of the country. 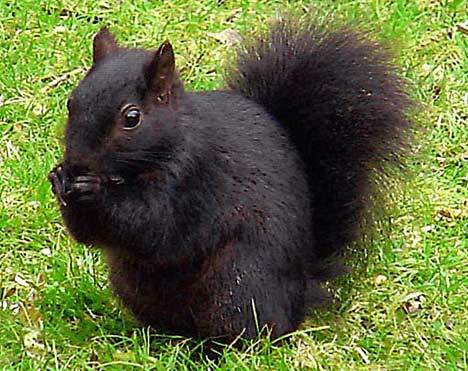 But now the black squirrel has arrived - and is rampaging through parks and woodlands. Scientists say the testosterone-charged black is fitter, faster and more fiercely competitive than both reds or greys."